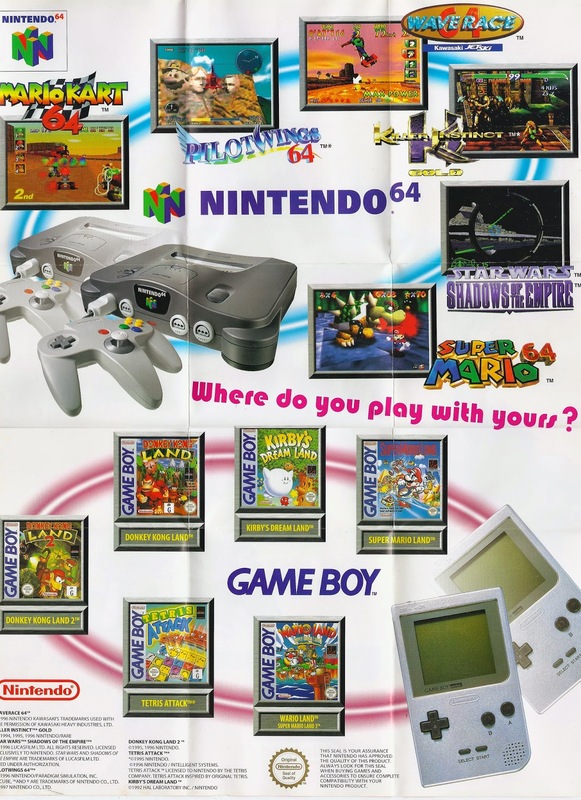 I'm sure just about every gamer in the 90's had this poster on their wall, but since I've recently come into contact with a mint copy after buying Banjo-Kazooie boxed and complete, I thought I'd take the opportunity to upload it here. It is a bit wrinkled after being folded in a box for so long, but otherwise its not faded or ripped anywhere. 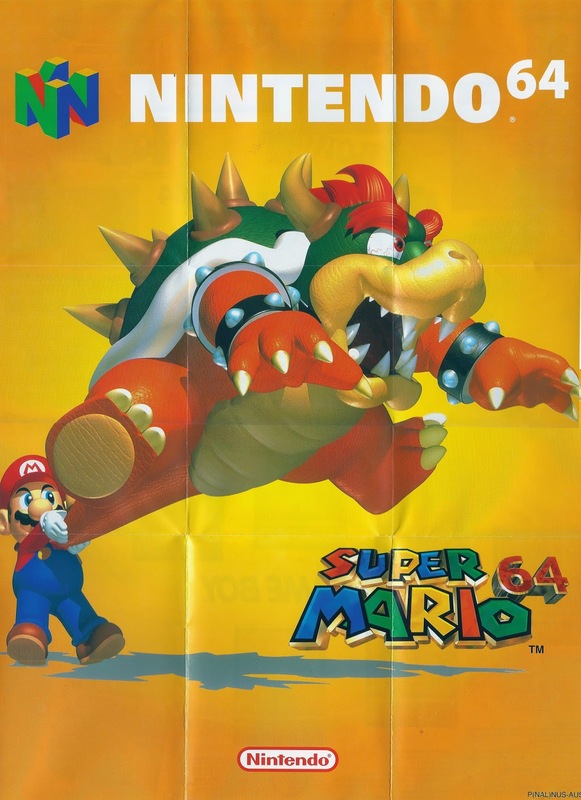 One side has the iconic image of Mario swinging Bowser by his tail (which I'm sure was on more than one version of these posters), but the other-side includes promotional stuffs for the N64 and the Game Boy Pocket. 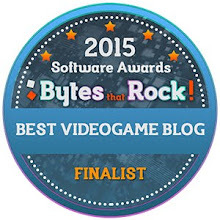 It's pretty simply otherwise; I'm actually struggling to write anything more about it. Um... the N64 stuffs seems to be held together by a bendy blue lightsaber while the GBP stuffs is held together by a red one? What could it possibly mean? Cue Twilight Zone music; or don't. Just enjoy the images. I'll probably get this framed actually. I'm sure this would look rad on a wall.